San Diego Botanical Gardens epicuria display. It needed bright flowers set against so much green. This beautiful bouquet was designed for a precious bride last summer. She wanted a vintage look to her wedding day. 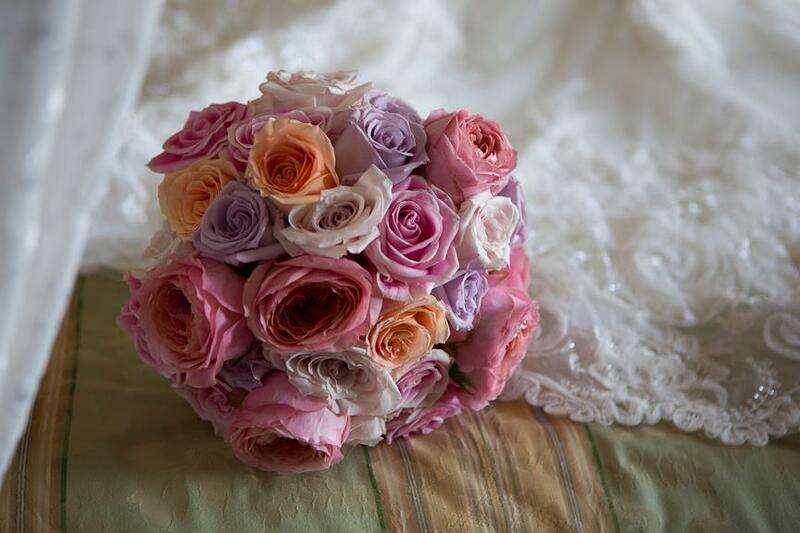 Her bouquet was filled with blown open roses, the colors of her bridesmaid dresses.